Located just 20 miles north of downtown Dallas, Plano is the largest city in Collin County (which is the richest county in Texas and part of the richest 1% of counties in the United States). Plano was ranked the richest city in the United States with the lowest poverty rate of 6.3% for a city with a population exceeding 250,000. Plano residents enjoy a high quality of life. The city features 85+ public parks, encompassing more than 3600 acres, three public libraries with more than 354,000 volumes, three public golf courses, five public swimming pools & dozens of athletic facilities. Plano also draws more than 300,000 visitors annually for the Plano Balloon Festival. Plano has the lowest crime rate for Texas cities with more than 100,000 residents, & there are more than 107 neighborhood crime watch groups actively involved in the community. Plano is also known for its world-class corporate community with companies such as EDS, JCPenney, Frito-Lay, & recently Toyota! The Plano Independent School District is known statewide for its excellence. With 21 Blue Ribbon Schools & an average SAT score of 1,127, Plano graduates are prepared for college or the workforce. 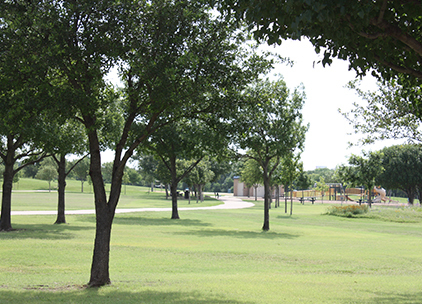 The community is strategically positioned north of downtown Dallas & easily accessible from various highways. Located between Richardson & Allen, Plano features beautiful neighborhoods, attractive landscaping around retail venues & an upper scale ambiance.